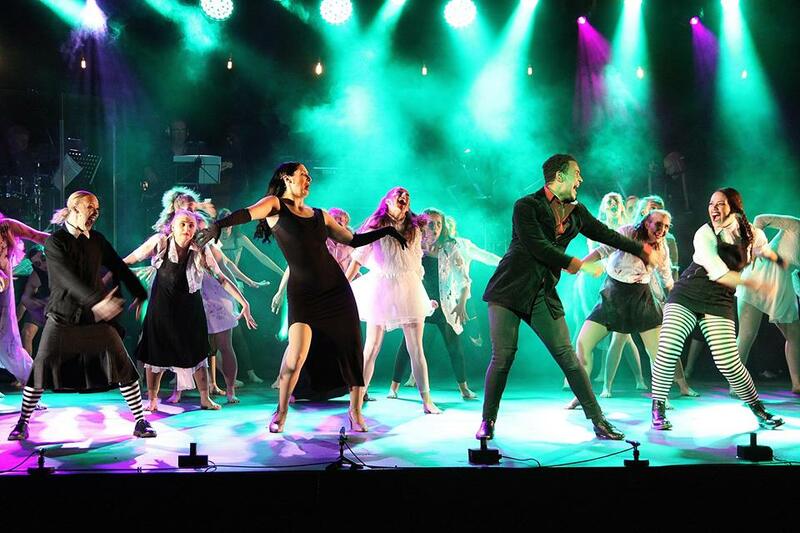 Review: M.A.D.D Annual Gala Showcase at Nottingham Playhouse. 2018. – East Midlands Theatre. If there is one event that stands out in the East Midlands Theatre calendar of reviewing it is the M.A.D.D Annual Gala Showcase at Nottingham Playhouse (29th -30th June 2018). 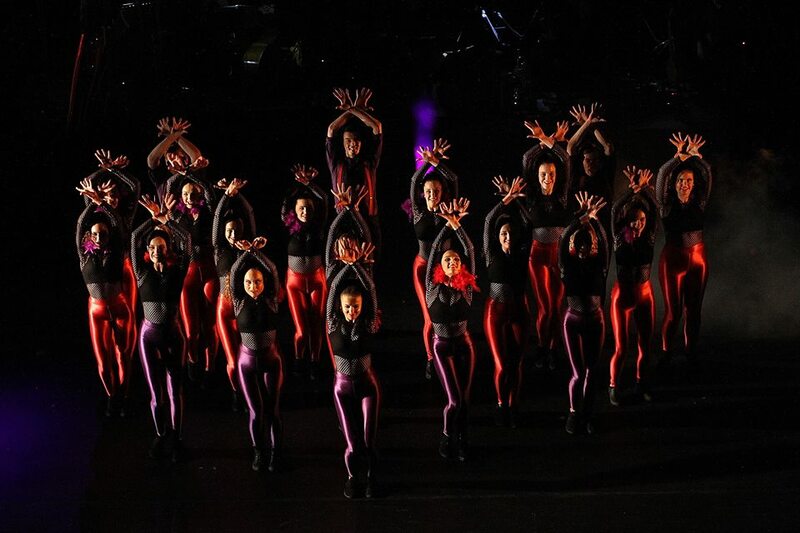 The Midlands Academy of Dance and Drama gala is of a stratospheric high standard. This ultra strong Nottingham showcase is clear evidence of why these young people in their three year training for the professional world will be very very employable. They have the hard won skills – often triple threat – and the insider knowledge of dance, musical theatre and drama worlds. Most importantly they have subsumed the positive attitudes and characteristics needed and demonstrate utter professionalism. They are a sensational force to be reckoned with! This year’s gala event, #The GreatestGiftIsYou, is up to its usual tip top high standard with faultless executions of all the pieces. There are lovely smooth and inventive transitions to keep the pace going, all are song and dance selection perfect. The sound, and the light and live music are all totally electrifying. The sound design is by Rob Ketteridge; the tremendous lighting by Leigh Mulpeter and musical supervisor John Morton and his professional band make the words ‘musically superb’ unique to them. Glyn Kerslake is musical supervisor and vocal coach. Principal Frances Clayton should be very proud. All the ‘background’ components should take a big bow at the end because they really do enhance every element of the showcase and in many cases create audio visual dramas of their own on stage sans performers. The evening’s entertainment is from a variety of shows with the stage musical SpongeBob SquarePants written by Kyle Jarrow getting several big bites of the juicy MT apple closely followed by various song and dance pieces from the very popular film musical The Greatest Showman written by Jenny Bicks and Bill Condon with music by John Debney and Joseph Trapanese. From SpongeBob SquarePants we have ‘BFF’ (Best Friends Forever) staged by Glyn Kerslake featuring third year vocalists Zack Griffin and Adam Wicks with ensemble. It is put across with wit and style by both boys and the talented ensemble. Staged by Emma Clayton, Amy Lightfoot and Mawgan Stott shine in the beautiful song ‘I Miss You’. The pre-interval big cast number is always a showstopper and ‘I’m Not A Loser’, staged by Emma Clayton with tap choreography by James Doubtfire, means this all singing and tap dancing piece, featuring lead vocalist Jack Archer with second and third year girl tap dancers, has us heading to the ice creams and Nottingham Playhouse bar on a high. Later in the show SpongeBob re-appears in the country and western styled ‘Chop To The Top’ with choreography by Emma Clayton (with Ally Ambrose and Megan Knight). Here we get to see and hear the super lead vocalists Adam Wicks and Layla Gill Dale joined by a selected ensemble from all three years. Given the huge popularity of The Greatest Showman film and its musical theatre numbers it would be inconceivable for it not to be featured in this year’s gala. ‘Never Enough’ is given an electrifying dance treatment by choreographer Sue Sparham and features all the very talented first years. They are immensely good! If this is their standard in the first year we will be thrilled to see how they perform in their third! ‘This Is Me!’ brings us thrillingly into the second half with great choreography from Andrew Wright and a very focussed and energetic dance ensemble performance by selected dancers from all three years. 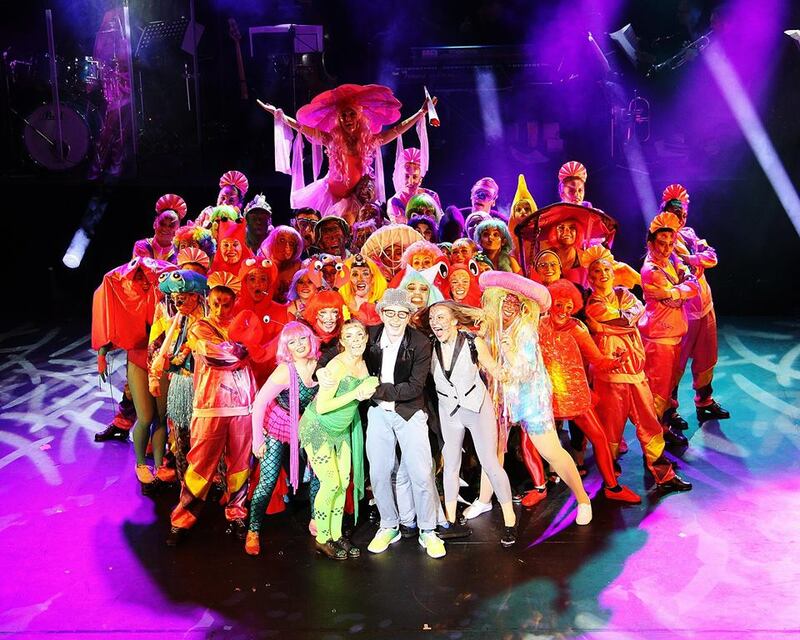 The equally well known song ‘From Now On’ is choreographed by Ryan Lee -Seager and given his special trade mark look passionately incorporated by the dynamic boy only cast, selected from all three years. From the rapturous applause it seems that this audience cannot get enough of The Greatest Showman numbers that are placed throughout this splendid gala evening. 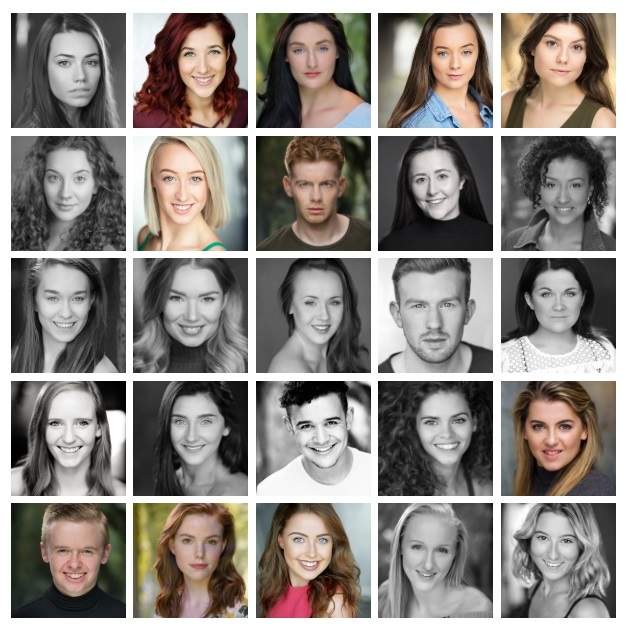 There are plenty of other big numbers which include the opening number ‘Dirty Laundry’ from the show Witches of Eastwick featuring lead vocalists Ally Ambrose, Rachel Head, Lauren McAvoy and Mawgan Stott with a selected ensemble from all three years. This high octane number is choreographed by Andrew Wright. What is good is that all the show numbers are creatively achieved and made with great imagination regarding their presentation. Often they stay away from the obvious visual interpretation of emotional depiction and develop their own emotional worlds on stage. Something to click our fingers too comes along in the wacky form of The Addams Family; book by Marshall Brickman and Rick Elice, Music and Lyrics by Andrew Lippa. This is brilliantly and wittily choreographed by Emma Clayton featuring an ensemble of all third years and first year course with lead vocals from Zach Griffin, Reece McDonagh, Tejan Vincent, Adam Wicks, Layla Gill-Dale, Megan Knight and Lauren McAvoy. As throughout the whole show the costumes and attention to detail are superb. The cast appear to be having a lot of focussed fun with this montage and small elements transition into the next piece. In the M.A.D.D gala programming there are always a few numbers and songs that hark back to what we might perceive as old style musicals. The decision to include these not only shows off the versatility of the cast but also demonstrates employability chances as these old style musicals are often revived professionally and those talents are still needed in musical theatre today. Employment is key after one has trained hard for three years. On such example in this fine gala is ‘Jet Song’ from West Side Story. This is choreographed by Ryan Lee -Seager and shows off the talents of the boys – Reese McDonagh, Tejan Vincent, Adam Wicks, Nathan Coyne, Bradley Mansell, Liam Morris and Connan Pearce. Not only does the piece have the macho gutsy song but also graciously allows some visual humour to intrude in the background. From Hello Dolly we enjoy ‘Before The Parade Passes By’ choreographed by Mark Hedges with uplifting lead vocals from Ally Ambrose. The ensemble give this number such real musical theatre joy. The ‘parade passing by’ runs into the realms of fantasy and this adds to the mischief of the piece. For those old enough to remember a certain young actor called Michael Crawford he sang the next song in the film version of Hello Dolly. ‘Put On Your Sunday Clothes’ is another uplifting Hello Dolly number and the vocals here are sung by Ally Ambrose, Rachel Head, Jack Archer and Liam Norris. 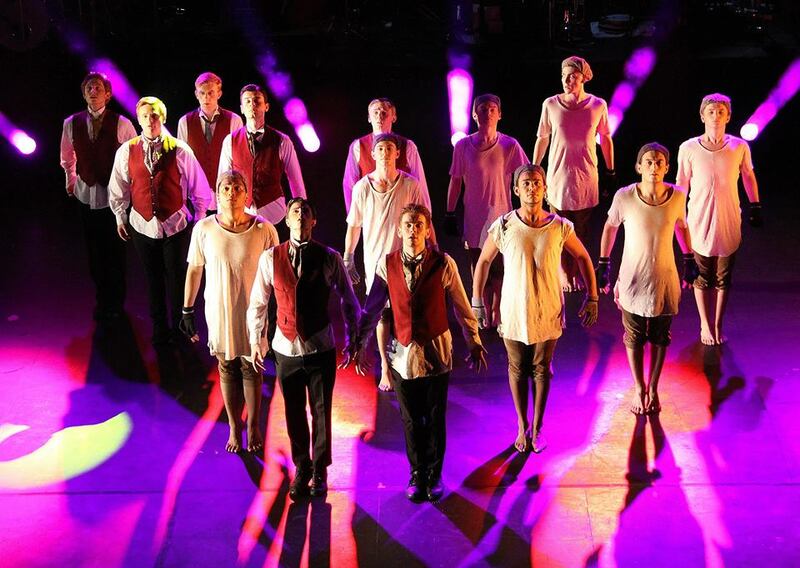 The number is choreographed by Mark Hedges and with a terrific full ensemble from the second year. ‘Toledo Surprise’ from The Drowsy Chaperone harks back to musical comedy of the 1920s. The show has book by Bob Martin (nothing to do with dog biscuits btw) and Don McKellar wth lyrics by Lisa Lambert and Greg Morrison. Choreographed for M.A.D.D by Chloe Fever-Roche and staged by Emma Clayton, it features the comical talents of lead vocalists Eve Morton and Katherine Ward with Lauren McAvoy and energetic ensemble. ‘Nobody’ from Bandstand is choreographed by Mark Hedges with lead vocals from Connell Pearce and Jorja Foster with a fine ensemble utilising the first years and second year student Nathan Coyne. Before we get to the solos and duets we must praise the hard work that goes into the whole show, the M.A.D.D staff, the volunteers, the costume designers, the professional people who work tirelessly to promote and stage this extravaganza; all of whom show great faith and encouragement to the young professionals in their care and tutelage and provide the exceptional training that they do. It shows big time. The muscular choreography aspects of the training are very evident in the pure dance numbers ‘Just Arrived’ (choreography Emma Clayton and Mark Hedges), The Jump (choreography Ryan Lee- Seager), the mystical Vikings (choreography Stewart Avon Arnold), and Tricky (choreography Mark Webb). They all convey great energy, focus, precision and artistry from all quarters. For us at East Midlands Theatre the solos and duets, both serious of nature and subject, and comedy numbers are the shining star highlights of the M.A.D.D gala evening. This year we see some real sparklers. From The Wild Party we have first year vocalist Poppy Lawson singing ‘Maybe I Like It This Way’ with great heart and poignancy. Third year Ally Ambrose sings ‘She Used To Be Mine’ from Waitress in a piece choreographed by Ryan Lee – Seager enhanced with elegant dancer work by Layla Gill-Dale, Andrea Garcia, Katie Hoyle and Sidney Irving. From Sunset Boulevard with have the sumptuous duet of ‘Too Much In Love To Care’ from third years Adam Wicks and Rachel Head, staged by Glyn Kerslake. From the rarely heard (in this country) Frank Wildhorn and Don Black musical Bonnie and Clyde we are enchanted by ‘You Know Who You Love’ sung by third year vocalists Gwen Davidson and Lauren McAvoy. It is atmospherically staged by Emma Clayton. On the comedy side we now have the hilarious and a tiny bit theatrical song ‘Whatever Happened To My Part?’ from the mad Monty Python show Spamalot. Here it is beautifully sung by third year vocalist Lauren McAvoy who gives the piece plenty of crazy diva treatment complete with a bottle of booze in her hand. ‘Shy’ from Once Upon A Mattress is another comedy piece and is wonderfully done by third year vocalist Megan Knight with third years Rachel head, Katherine Ward and Lorien Tear. From The Enchantress comes ‘Art Is Calling’ and we get a super solo performance from Mawgan Stott. For those who like their jazz and blues style songs the number ‘That’s Life’ is a sultry showstopper once again from the amazing talents of Ally Ambrose and Lauren McAvoy. Nat King Cole’s ‘Orange Coloured Sky’ is given a wonderful ‘wham bam’ showbiz treatment by enigmatic second year Jess Nicholson. On the opposite side of the song spectrum we have ‘Daryl Is A Boy (and he lives in my closet)’. It is written by Michael Mitnick and sung very amusingly by Chantelle Little. Her diction is perfectly conveyed. ‘The World Goes Round’ written by Brenda Pressley and the title song from an Off Broadway Kander and Ebb production of the same name is a real blaster of a swan song delivered with great voice and style by Rachel Head. Overall, a fantastic evening demonstrating the amazing talents that the M.A.D.D college attracts and helps to grown into artistes of vocational calibre strong enough to be good enough to be a big contender in the professional world of dance, theatre and musical theatre. It is no surprise they have so many successes along the way. Show imagery by Karen Smallwood Photography.